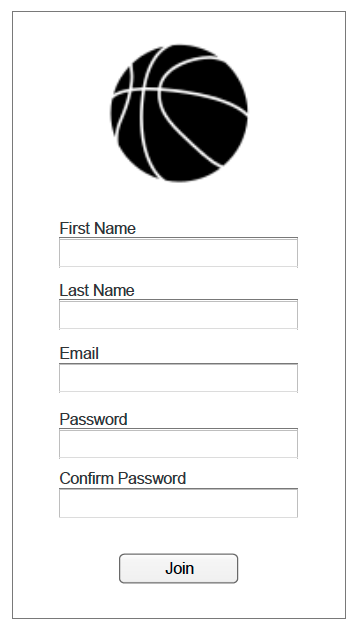 Is there a need for better organization in pick-up basketball? I started building this app while taking a UX Design course at General Assembly in NYC. The idea developed from my personal experience as a life-long basketball player. I had observed how the level of competition and overall amount of players using courts has degraded over the last two decades for many different reasons, and this has made it difficult to consistently find good competition at the time that you and your friends want to play. 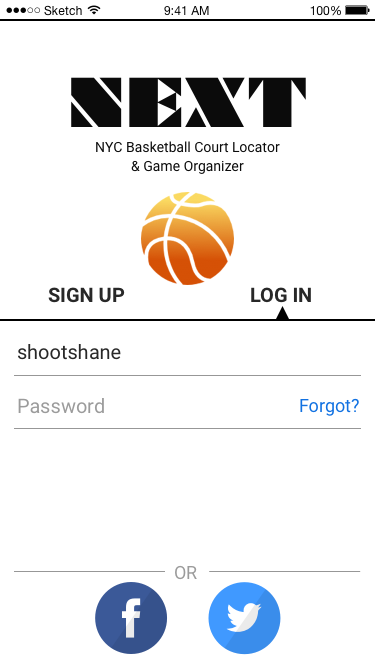 This app would solve both of these problems by allowing users to not only know that people are checked-in and playing at a court in real-time, but also allow the user to learn about the checked-in players skills before going to the court to play. 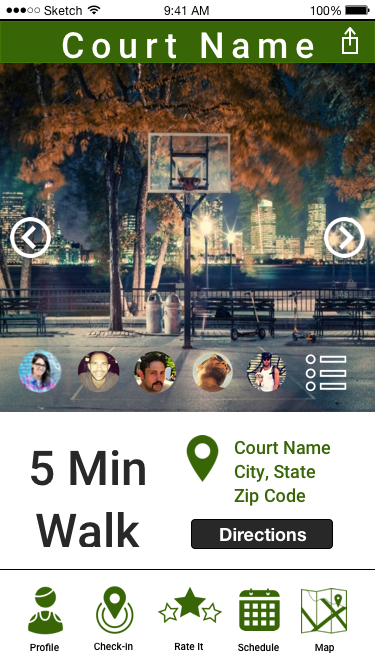 Additionally, it allows users to schedule a time and court to meet at to get their game on. Basketball players want to challenge themselves by playing new competition but don't know where to find them, and there is no guarantee that anyone will be at a court when they show up to play. I began by conducting interviews with local basketball players to better understand when, how, and who they decide to play. I then created an affinity map to recognize patterns, which allowed me to develop two distinct personas. From there, I ideated from hand sketches to low, then high fidelity wireframes, and finished with an interactive prototype. Testing the prototype led to further design refinement. 1. How do you decide which court to play on? Location, word of mouth, weather? 3. Do you prefer half-court or full-court games? 4. Does the type of game impact where you decide to play? 5. Are you seeking competition or just a "friendly" game? 6. Does average age of players matter? 8. What time of day do you prefer to play? 9. Does the make-up of the court affect your decision (single/double rim; metal/glass backboard; concrete/blacktop etc.)? 10. Do you prefer to play at the same location or explore new courts around the city? Synthesizing the information from the interviews allowed me to recognize distinct patterns in how certain people approach playing and organizing time to play a simple game of pick-up basketball. This helped in creating two personas. I then started to sketch what the app could look like based on the two personas. 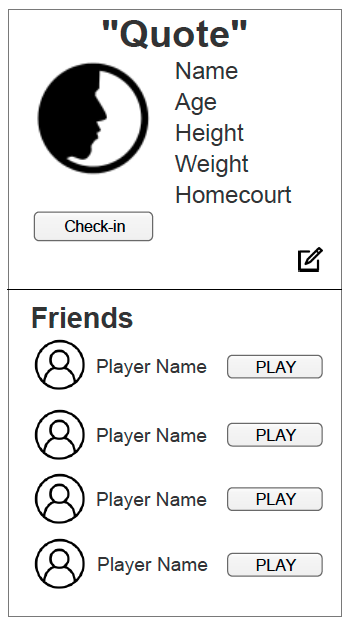 They were very low-fi, but allowed me to discern very quickly which design would be best to start building wireframes. Paper prototypes were created to conduct usability tests on look and function. I then built several iterations in Axure from very low-fi to semi hi-fi. Finally I built a hi-fidelity version in Sketch and have continued to refine the design.